Years ago now, Danny and I were driving around in the dark. We had just fallen in love a couple of months before. Late in the evening, I had picked him up from the restaurant where he was the chef, a night of dinner-service rush and camaraderie in the kitchen behind him. I had been writing all day, working on a proposal for the first book I wanted to write. Hours apart felt like days, and we were so happy to be in the car together, going home. As we talked and talked, a song came on the radio turned low. “Wait,” Danny said, as he turned up the volume. Desmond has a barrow in the marketplace… We looked at each other and laughed. The Beatles. Of course. We both loved the Beatles. My yes tattoo was in some part inspired by the story of how John Lennon and Yoko Ono met. He has a drawing of John Lennon, the word imagine, and a tangerine tree tattooed on his arm. Our meeting felt like kismet, with a 1960s soundtrack. We were close to my apartment — now his apartment too — but we drove around the neighborhood in circles, wanting to finish the song. We sang loudly into the darkness, Danny slightly off-key. (I knew from the start that he couldn’t carry a tune and I didn’t care.) Somehow, in that spontaneous singing was all the hopes we had for our sudden new love: the marriage, the two kids we were so eager to meet, the goofy happiness. In that moment of singing Ob la Di Ob la Da was our future together. Years passed, with many of those moments documented on this site. I wrote a book. Two weeks shy of turning 42, I gave birth to our daughter. She nearly died. She came back to life. We settled into being parents, happier than we had ever been in our lives. Danny left that restaurant. We wrote a cookbook. We moved to Vashon and started small-town life together. Danny started cooking at another restaurant. We wrote another cookbook. I wrote. Danny cooked. He left restaurant life. We took Lucy around the world on book tours and cooking classes tours and potluck gathering tours. We started a third cookbook. There were awards and setbacks, patches of writer’s block, ideas emerging that thrilled us both. 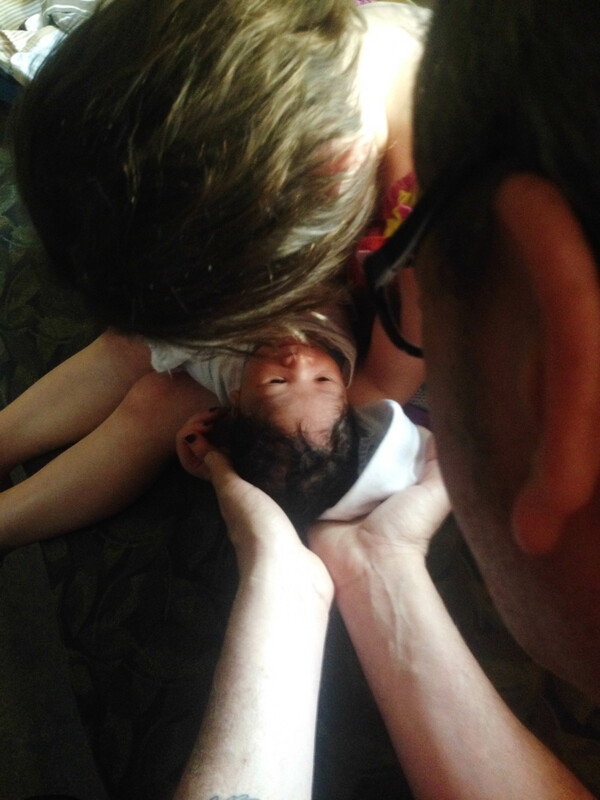 Mostly, there were so many hilarious and moving moments with our daughter as she grew from small baby into joyful child that everything else seemed small in comparison. We have been happy, so happy. And yet, there was this hole. Our family didn’t feel complete. If we had not been able to have another child, we would have been grateful. But Danny and I both adore our siblings, who are some of our best friends. We both believe that siblings teach you what parents cannot: how to compromise, how to fight, how to defend each other, how to make up secret languages, how to make each other laugh. We wanted Lucy to have a sibling. It was beyond analysis, even though we spent months researching and talking and thinking about it. We wanted to welcome another child into our family. Over three years ago, we began the process to adopt another child. We started by thinking about international adoption, but within the year realized it wasn’t the right path for us. The same with foster adopt, after lots of heartfelt conversations. We settled on an adoption agency for domestic, open adoption and started filling out mountains of paperwork. We sat through interviews, home studies, wrote 25-page autobiographies (each of us), got fingerprinted, did background checks, and asked many friends for letters of recommendations. We finished it all, triumphant, and turned it in. And then we waited, and waited, and waited, as the agency had no mothers to work with and dozens of waiting families growing ever more impatient. Over the course of a year, we saw only a clutch of profiles, none of them the right connection for us. We grew frustrated and tired, tried to stay hopeful, doubted the entire process, and nearly gave up. After more thought and research, and taking a leap of faith that the extra money we would have to spend would arrive somehow, we switched to working with another adoption agency more suited to us. And we started filling out that mountain of paperwork all over again. The next time I hear someone say to a couple who cannot have children, “Oh, you can just adopt!” I will refrain from smacking him. Gently, however, I might say, “There’s no easy fix in that option, believe me.” Making a plan for adoption has been the most conscious, thoughtful process Danny and I have ever undergone. People get pregnant without planning it nearly every day. No one ever adopts mindlessly. 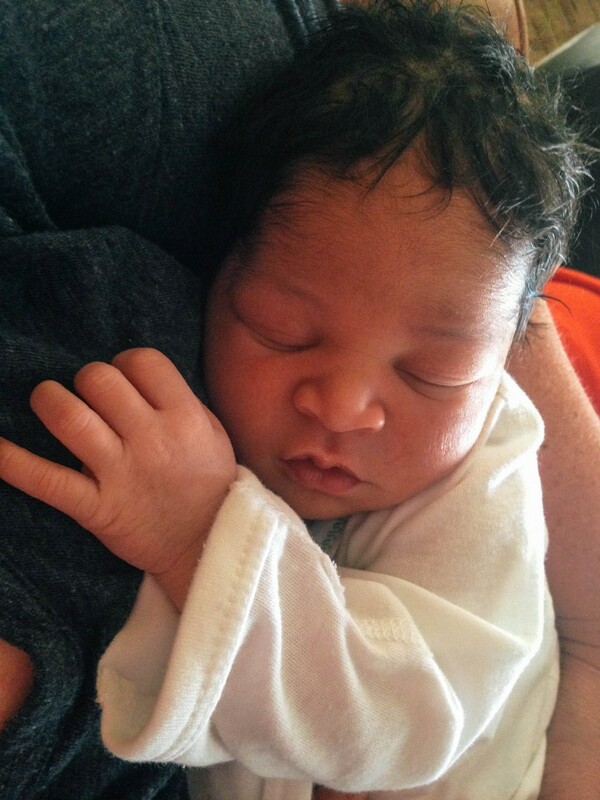 Last week, on March 19th, we met our son. We are over the moon. We are amazed with this little guy, a sweet and patient boy who barely cries. He’s making shapes in the air as he learns to use his arms, dancing in his sleep at my feet as I write this. 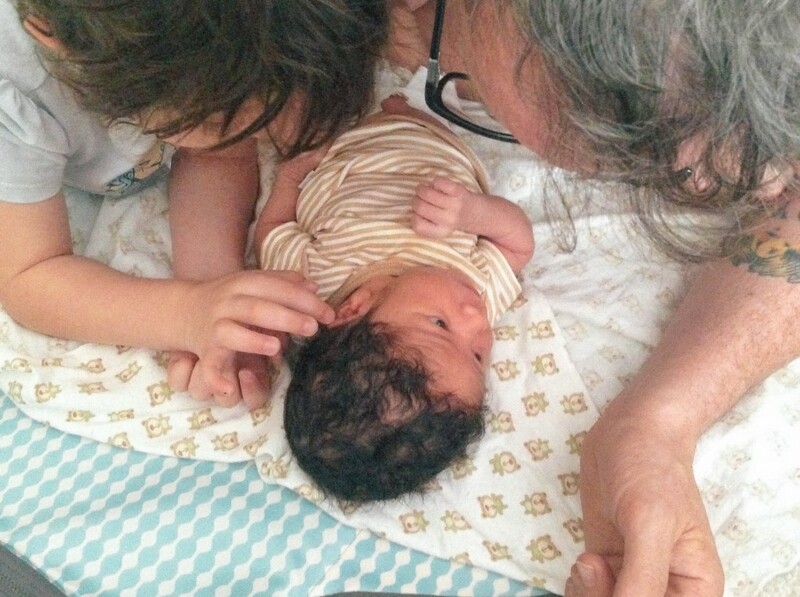 The gratitude we feel for this little peanut is enormous. And gratitude for his mother. 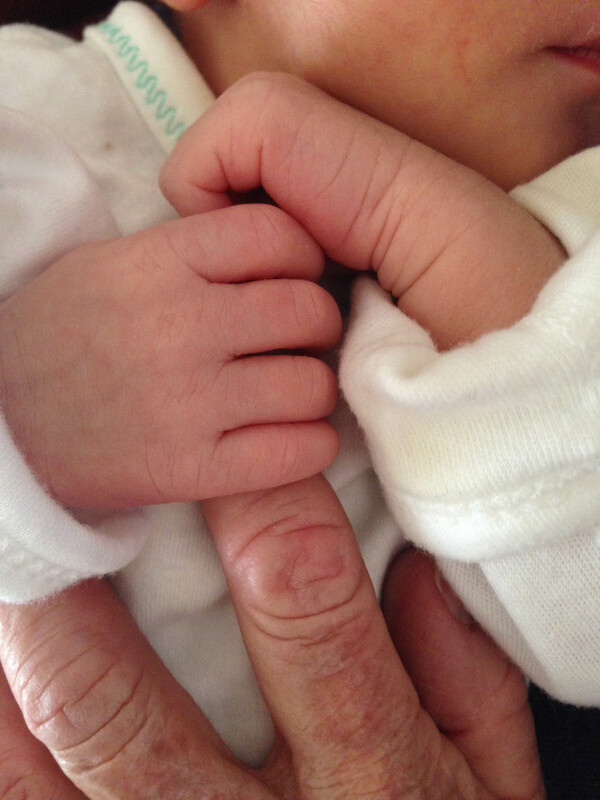 Our son was born of an amazing woman, kind and strong, who has become like family to us. She chose us to be his family back in January, and we have been writing back and forth ever since, getting to know each other through our words. I’ve never been more grateful for my words, for my ease with writing them, all these years later. It is the most unexpected relationship of our lives. 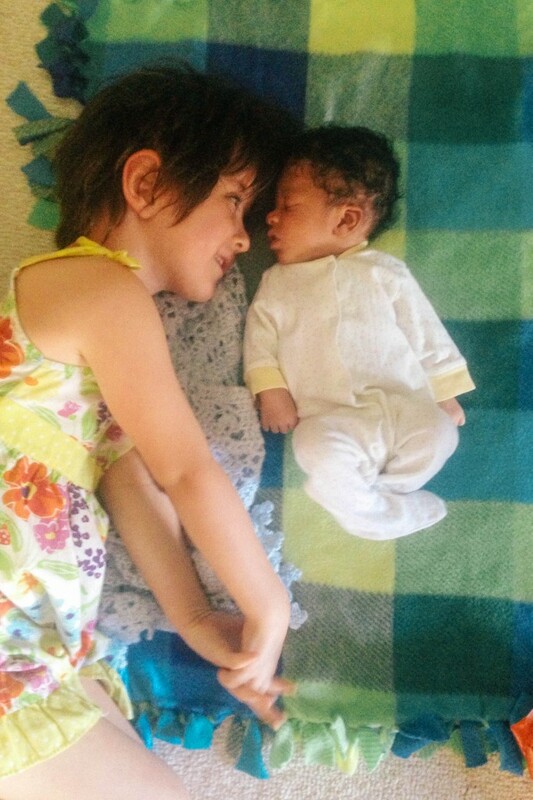 Her story, and his birth story, are not ours to tell. For years, I have been open with the stories of our life, sometimes too open. This one, however, is private. In the last year, and especially these last two months, as we prepared and hoped for his arrival, Danny and I have been feeling the need to share less, to be more quiet. As we left the hospital with him in his car seat, Danny turned to me and said, “Well, our DNA is different now.” This has all changed us in ways we won’t be able to articulate for a long time. This is what we’ll be telling our son. This is why we decided to enter into open adoption with open hearts and full commitment. Because of him. And because of her. We wanted a second child. And oh, what a fine little baby he is. I can’t wait to watch him grow up. Lucy is besotted with him, in three-minute spurts. She hugs him and touches him and talks about how cute he is. “I’m your big sister!” she tells him every time. And then she goes off to dance or draw again. Babies are supremely boring when you are five. We wanted this child. We longed for him. But what we didn’t know is how moved we would be by the relationship we have with his mother, whom we will always honor in his life. We wanted a child and we found more family. There are all kinds of ways to make a family in this world. But really, I think you just make them, in any shape, with love. 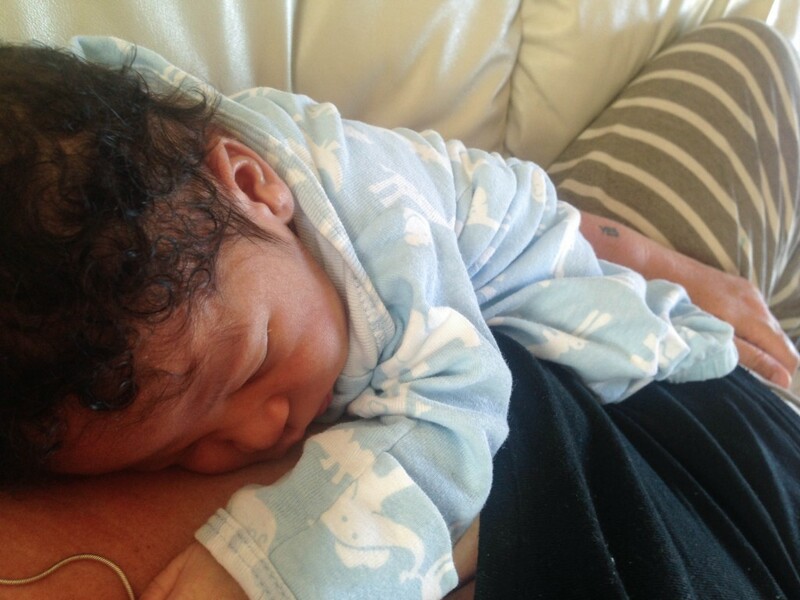 Oh, and the little guy’s name is Desmond Jeremiah Ahern. Desmond is in honor of Desmond Tutu, one of our favorite people in the world, for his fierce work with social justice and forgiveness. Desmond is a good Irish name, to go with the Ahern. But mostly, we named him after that Beatles song we sang together in the darkness so many years ago. We listen to the Beatles in our house every Sunday morning. Whenever Lucy hears Lucy in the Sky with Diamonds on the radio, she shouts, “That’s my song!” We can’t have the second kid feel left out. He has to have his own Beatles song too. But mostly, we realized after we chose it, that it’s the perfect name for this boy, this longed-for boy, this worth-the-wait, this-product-of-goofy-happy-filled-with-love-singing boy. This boy who completes our family and has already brought us so much joy in only 8 days. Thank you to those of you have been sending emails and notes after seeing photos of Desmond on Instagram. Your joy about seeing him has given us such joy. We’re not publishing comments on this post, or any others for awhile. For one, we’re staying in a home without wi fi — I drove to a coffee shop to publish this — and we won’t be able to go home until next week. It will be impossible to read and publish your comments for a bit. But as I wrote, we also want a little more quiet in our public life right now. So we’re going back to the policy we tried last year of no comments. Looking back, it was lovely. What we write and cook is meant to be an offering. If you really want to talk to us, you can reach us by email, on the Facebook page, on Twitter, and on Instagram. We’ll help, if we can. But we have a newborn, a tiny human who conducts symphonies in his sleep, when he’s sleeping. We’re going to be taking a bit of a break here to snuggle in with him. (Also, we still have a cookbook manuscript due June 1st!) Over the next couple of weeks, we’ll be publishing a few more posts about our California trip, with recipes. (They’re already in draft, waiting to be published, to be honest.) And then we’ll be back when we can, to share the food and stories that emerge from the joy of having this boy in our lives. Thank you.